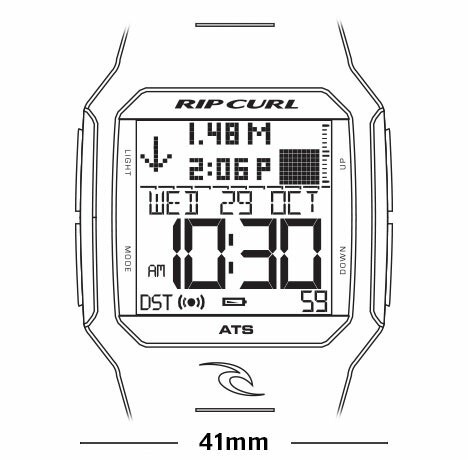 RIFLES TIDE MIDNIGHT – Grua Surf Co.
With 500 pre-programmed tide locations in graph or detailed display, the Rifles Tide watch is the perfect combination of function and value. 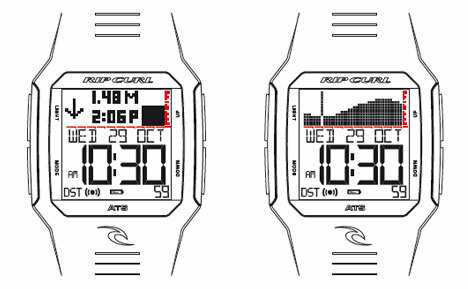 An alarm, stopwatch, countdown timer and light put all the data you need right at your fingertips. The lightweight polyurethane construction is durable and waterproof tested to 100M.